Our Sunday afternoon lunch was eaten at the Market Cross Pub, again, just ahead of restaurant week. I let him order and we had the bruschetta appetizer, along with two shantys. I’d never had a shanty before, but it grew on me as we ate. The bruschetta looked great, see? It was different from any I’ve ever had, having mushrooms in it, and since I like mushrooms, I quite liked the addition. 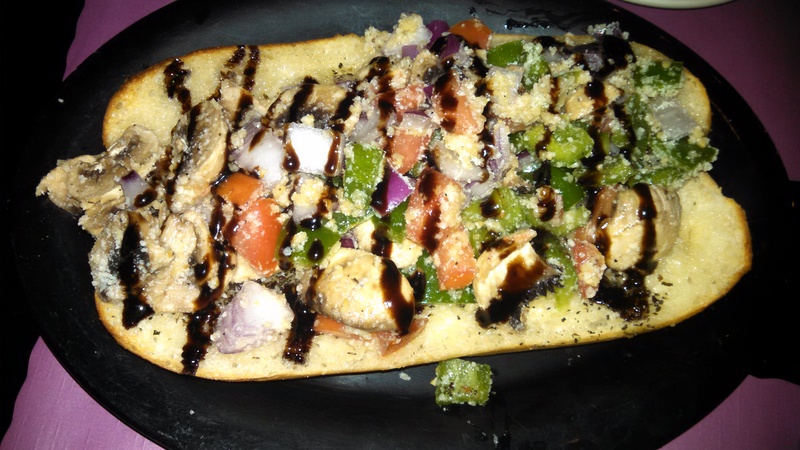 Also, the balsamic glaze was one of the best I’d had. This set the bar for the rest of the meal quite high. He filled the table, though it was a small one, with a shepherd’s pie, bangers and mash, and a pub burger with Stilton cheese. Two of the three came with mashed potatoes, but they were thick and not my preference. The shepherd’s pie actually had lamb in it and a blend of savory spices, completely different from what I was expecting. The Stilton cheese on the pub burger was a new experience for me, and I quickly learned that I don’t care for it on my burger. Once I removed it though, it was a pretty good burger, though we’ve made better ones at home. They do get credit for properly cooking it though, a lovely medium rare. My favorite was the bangers and mash, two sweet sausages with a brown ale gravy, again, not the potatoes so much, but I do like a good sweet sausage. All in all, a good experience, food could have been a little better, service wasn’t too bad and the atmosphere was unique, I’d not been in a pub before. 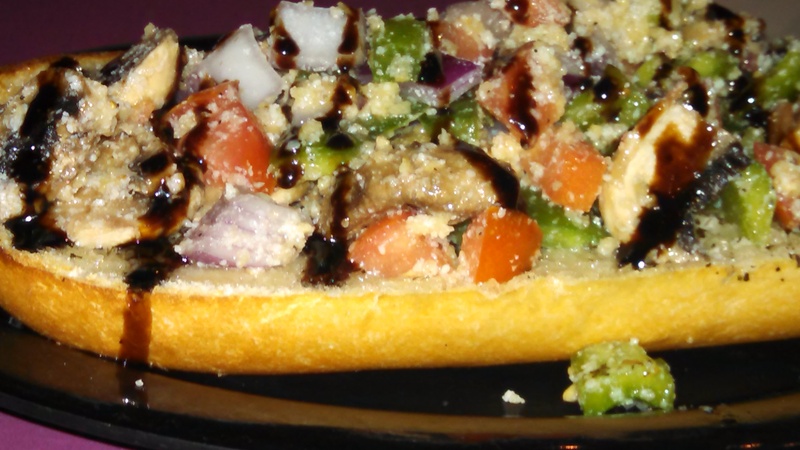 This entry was posted in Reviews, Uncategorized and tagged Bangers and Mash\, Bruschetta, Carlisle PA restaurants, Market Cross Pub, Pub Burger, Shanty, Shepherd's Pie. Bookmark the permalink.